Zagreb Section of Mechanics 1954-2004. The first Yugoslav Congress of Applied and Theoretical Mechanics was held at Bled in the Republic of Slovenia in February 1952. At the Congress an initiative was advanced to establish the Yugoslav Society of Mechanics. In 1954 The Yugoslav Society of Mechanics (YSM) was founded. The first President of the Society was Jakov Hlitfiijev and the first Secretary General, Vlatko Brčić. That same year the Zagreb Section of the YSM was founded in Zagreb. The Croatian Society of Mechanics 1969-2004. In 1969 the Zagreb Section of YSM was transformed into the Croatian Society of Mechanics (CSM). 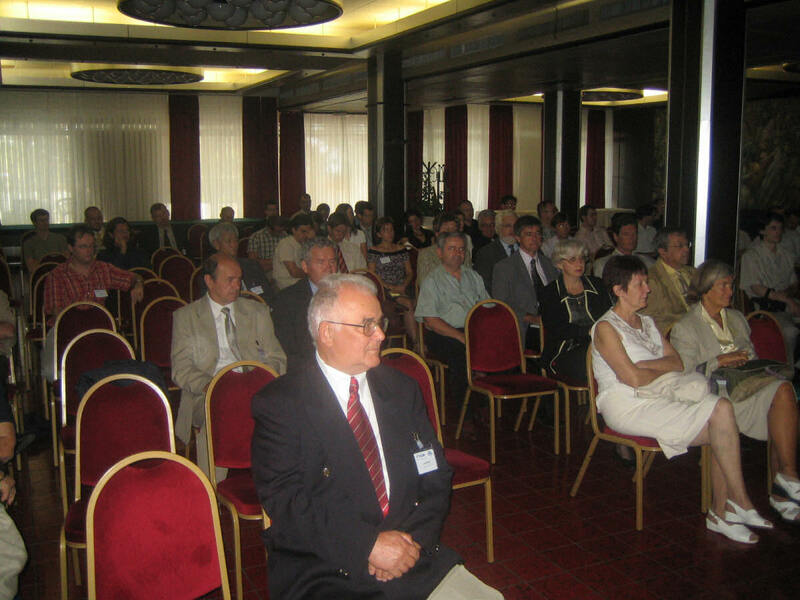 The founding Assembly of the Croatian Society of Mechanics was held on April 18, 1969. The first President and the first Secretary of the Society were Davorin Bazjanac and Ivo Alfirević. All the presidents and secretaries of the Society and the dates of their elections are listed in Table 1. Nineteen Yugoslav Congresses of Theoretical and Applied Mechanics were held between 1952 and 1990. These are: Bled 1952,1954,1956 and 1960, Opatija 1958, Split 1962,1966 and 1968, Vrnjačka Banja 1964 and 1988, Baąko Polje 1970 and 1970, Ohrid 1974 and 1990, Sarajevo 1976, Portoroľ 1978, Kupari 1981, Bečići 1984, Zadar 1986. 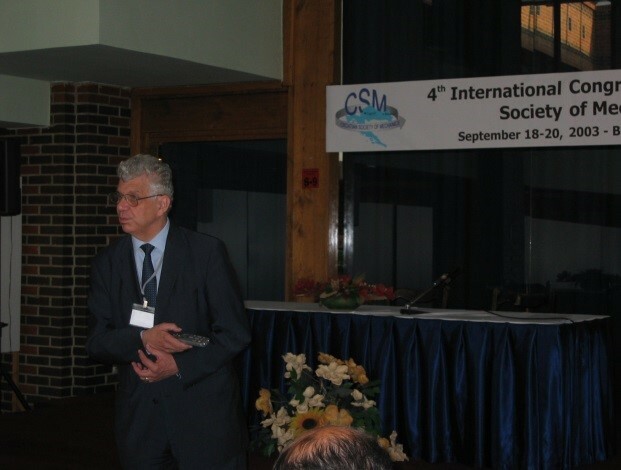 Members of CSM at all Congresses participated with a number of papers and CSM helped substantially in organizing many of them. After the recognition of the Republic of Croatia as an independent and sovereign country, CSM ceased to be a part of YSM. The same happened to the Slovenian Society of Mechanics as well as to other societies of mechanics in former Yugoslav Republics. In this way YSM ceased to exist. 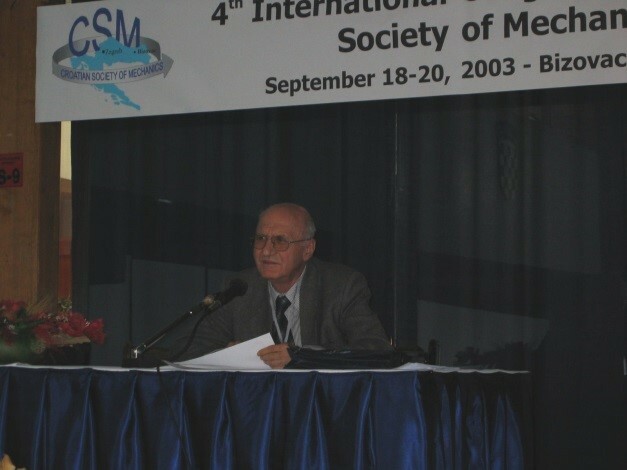 Two members of CSM were presidents of YSM: Davorin Bazjanac in two terms 1970-72 and 1972-74, and Zlatko Kostrenčić 1978-81. 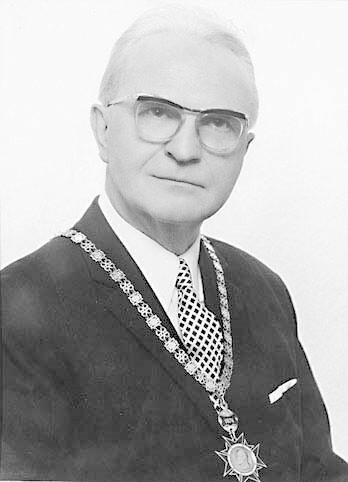 In 1976 D. Bazjanac was appointed first honorary member of YSM. 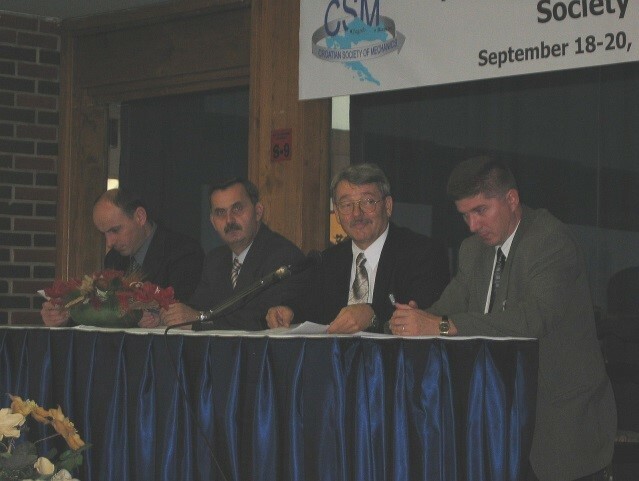 Another two members of CSM were honorary members of YSM: V. Andrejev 1978 and Z. Kostrenčić 1986. 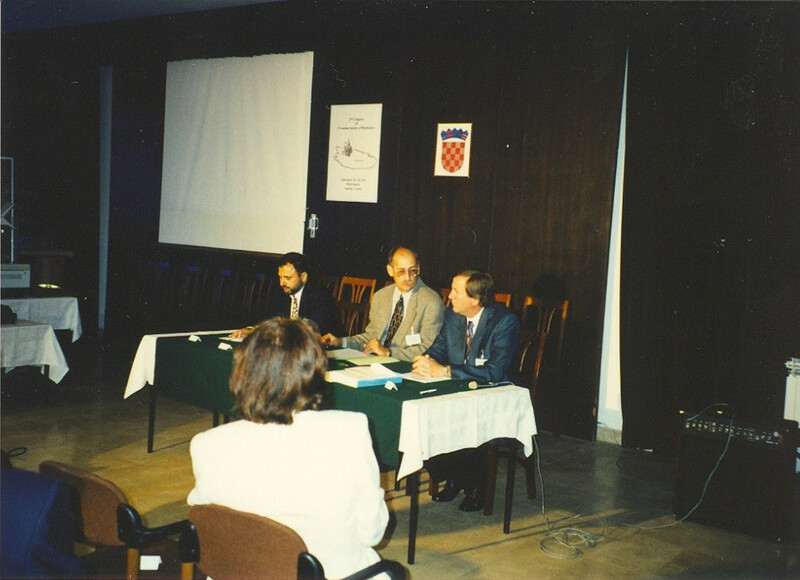 The Croatian Society of Mechanics organized seven Yugoslav Symposia of the Theory of Plasticity: Plitvička Jezera 1981, 1982 and 1983, Tuheljske Toplice 1985, Lipik 1987, Opatija 1989 and Pula 1991. 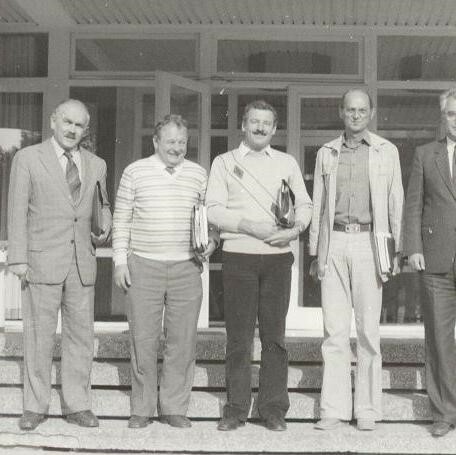 In cooperation with the Austrian Society of Experimental Strain Analysis (ASESA) and the Hungarian Scientific Society of Mechanical Engineering, CSM founded the Danubia-Adria Committee (DAC) in 1982. The first members of the Committee were I. Alfirević, R. Beer, I. Huszar, S. Jecić, H.P. Rosmanith, F. Thamm. 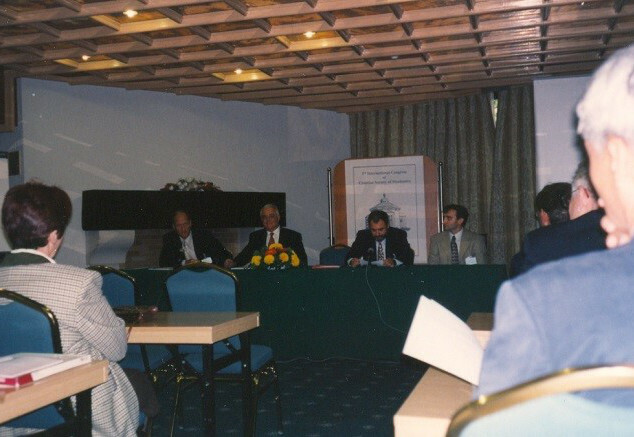 The Italian Association of Stress Analysis (AIAS) joined the DAC in 1986 and the Czechoslovakian Society of Mechanics in 1992. Later the Czechoslovakian Society split into two parts: the Czech Society of Mechanics and the Slovak Society of Mechanics. Since May this year both societies have been members of the DAS. 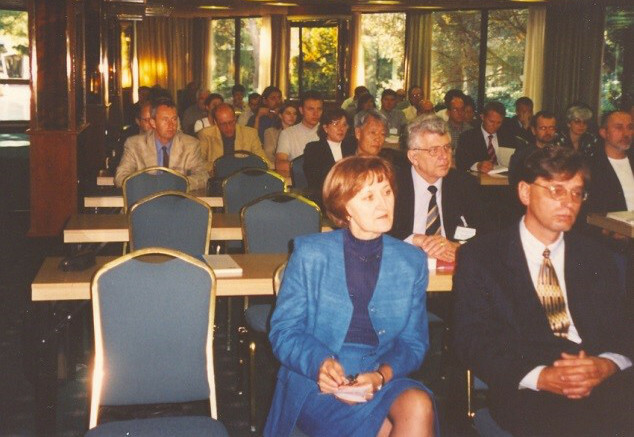 Eleven Danubia-Adria Symposia on Experimental Methods in Solid Mechanics have been held to date: Stubičke Toplice 1984, Graz 1985, Budapest 1986, Plzen 1987, Udine 1988, Mosern 1989, Pula 1990, Godollo 1991, Trieste 1992, Měľin 1993, Baden 1994. CSM also organized three round table discussions about some important current issues: Stubičke Toplice 1976, Modern Methods in Teaching Mechanics; Split 1979, Application of SI Units in Engineering; Slavonski Brod 1989, Problems and Improvements in Teaching Mechanics. 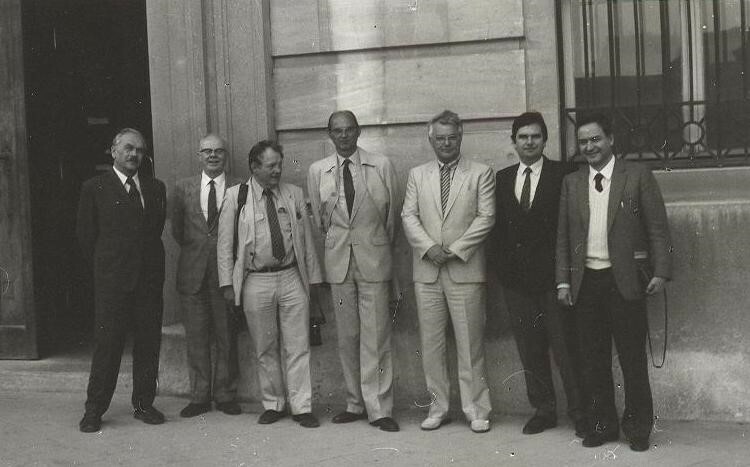 CSM was co organizer of the third International Symposium on Numerical Methods for Non-Linear Problems, Dubrovnik 1986. 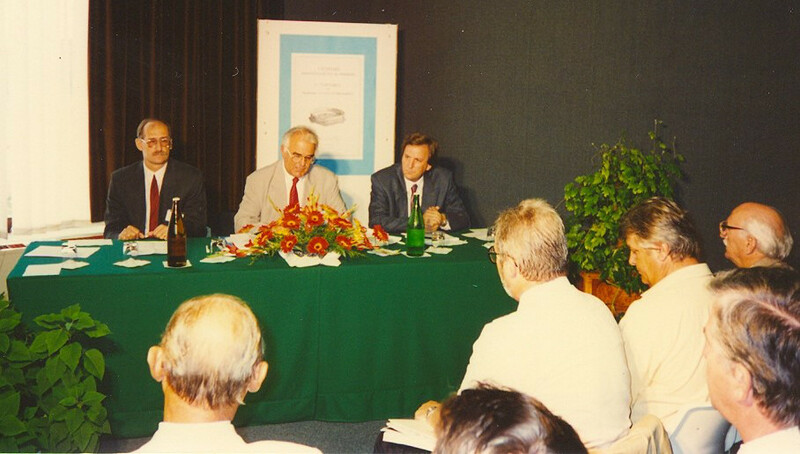 First International Congress Croatia Society of Mechanics held from 14th to 17th September 1994 at Pula. 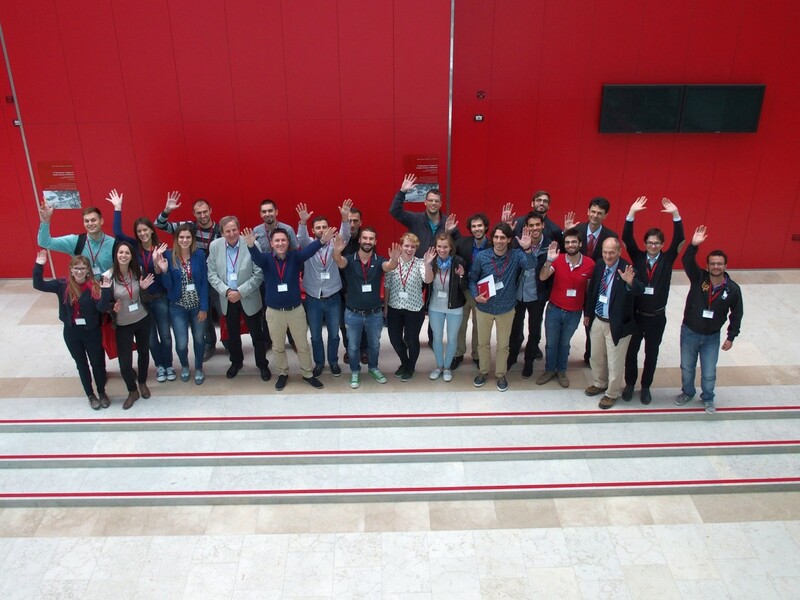 It was 77 papers (116 authors) presented with 81 participants. Together with Congress was held Summer School "Computational mechanics of nonlinear solids" under the auspices of CEACM. Lecture were: Rene de Borst, Delft, Wilfried B. Krätzig, Bochum and Herbert Mang, Vienna. 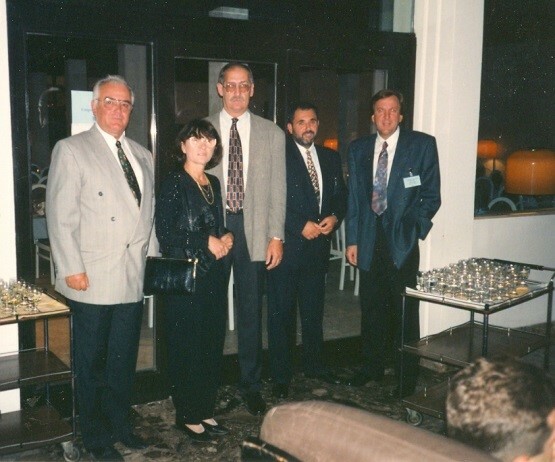 Second International Congress Croatia Society of Mechanics held from 18th to 20th September 1997 at Supetar (Island Brač). It was 85 papers presented. 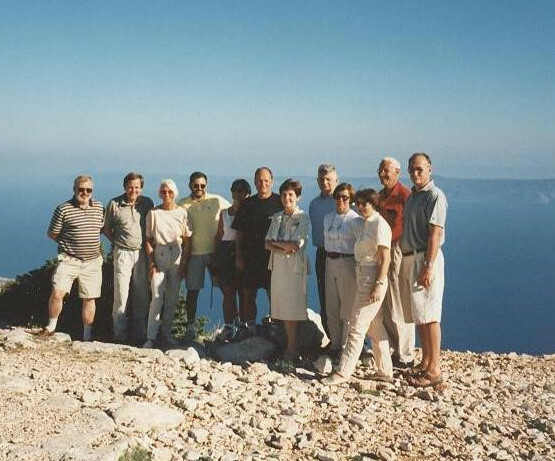 Third International Congress Croatia Society of Mechanics held from 28th to 30th September 2000 at Cavtat (Dubrovnik). It was 84 papers presented. 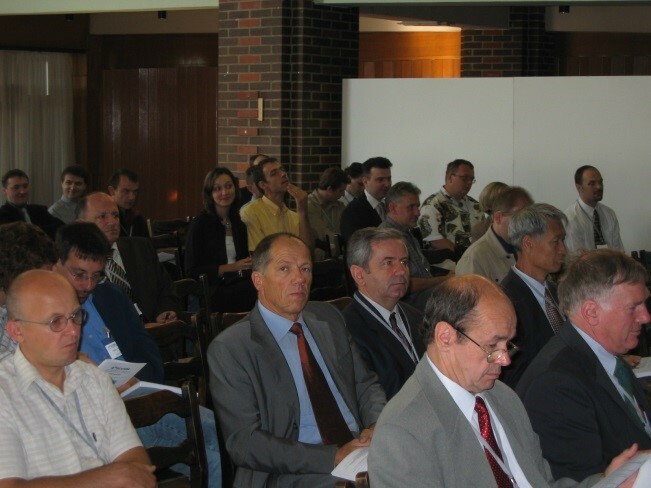 Forth International Congress Croatia Society of Mechanics held from 18th to 20th September 2003 at Bizovac (Osijek). It was 82 papers presented. Fifth International Congress Croatia Society of Mechanics, 21. to 23. September 2006 at Seget Donji (Trogir). 80 papers presented. Participants from 14 countries. Plenary lecturers: H. Jasak (Lodnon), D. Lefebear (Bruxelles). Sixth International Congress Croatia Society of Mechanics, 30. September to 3. 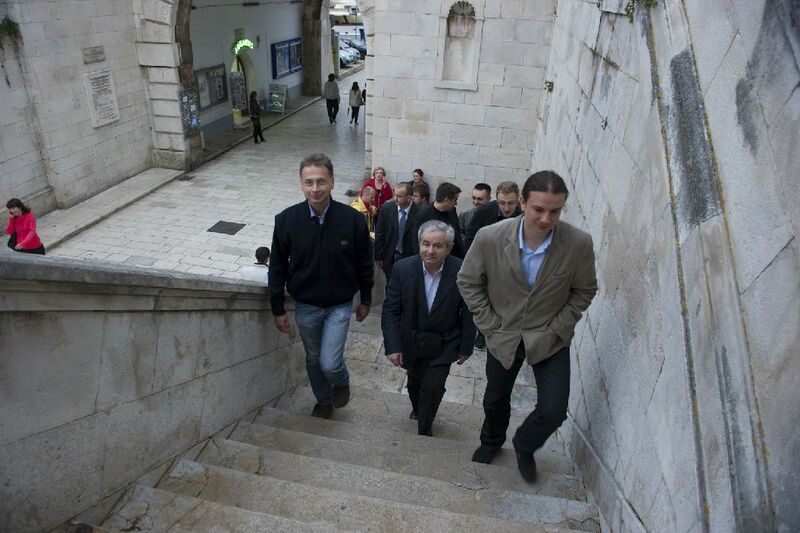 October 2009, Dubrovnik. 128 papers presented. 140 participants from 20 countries. Plenary lecturers: .N. Atluri (University of California), Z.P. Bažant (Northwestern University), M. Geers (Eindhoven University of Technology), G.A. Holzapfel (Graz University of Technology), W.B. Krätzig (Ruhr-University), D.R.J. Owen (University of Wales) and P. Wriggers (University of Hannover). Inaugurated honorary members of CSM: S.N. Atluri (University of California, Irvine, USA), N. Bićanić, (University of Glasgow, UK), W.B. Krätzig (Ruhr-University, Bochum, Germany) and R.J. Owen (University of Wales, Swansea, UK). 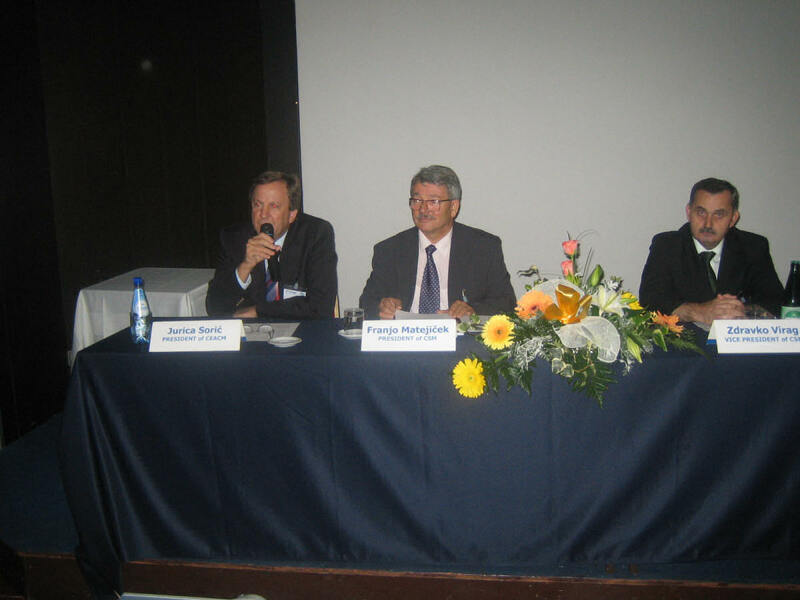 Seventh Seventh International Congress Croatia Society of Mechanics, 22. to 25. May 2012, Zadar. 68 papers and 12 posters presented. 99 participants from 21 countries. 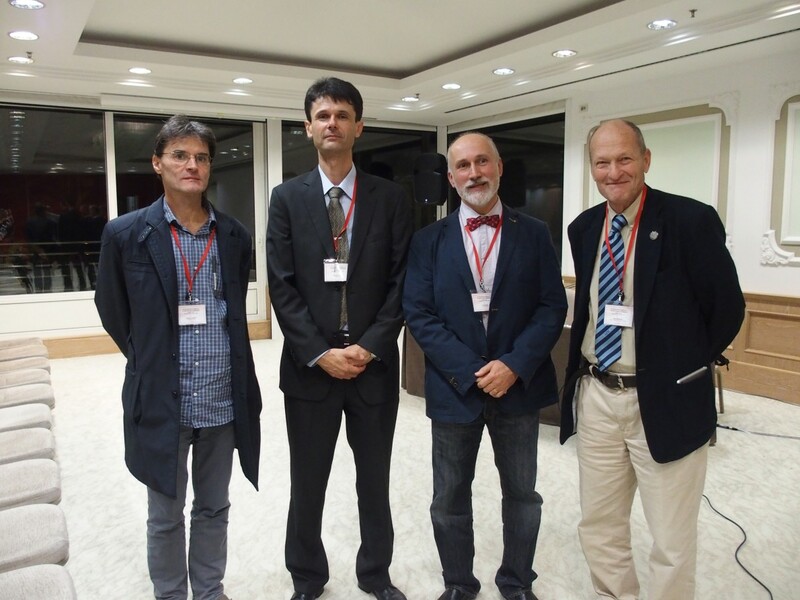 Plenary lecturers: C. Bori (University of Florence), J. D. Holmes (JDH Consulting), A. Kareem (University of Notre Dame), S.Leyendecker (University of Erlangen-Nuremberg). Eight International Congress Croatia Society of Mechanics, 29. September to 2. October 2015, Opatija. 122 participants from 25 countries. 111 papers. 112 participants from 11 countries. Plenary lecturers: G. Alfano (Brunel University), H. Haiyan (Beijing Institute of Technology), A. Ibrahimbegović (UT Compiegne/ Sorbonne Universities), W. B. Krätzig (Ruhr-Universität Bochum), J. Mosler (Technical University Dortmund), A. Pandolfi (Politecnico di Milano), C. Pearce (University Of Glasgow) and P. Wriggers (Leibniz University of Hannover). Danubia Adria Committee and Danubia-Adria Symposia were founded by a group of scientists and professors established in the Middle Europe and disappointed with the political, economic, cultural and, above all, scientific division of Europe, enforced at the time. Professors and scientists established in eastern countries had been put in a particularly awkward position. Namely, in these countries international scientific cooperation between the East and the West had been heavily hindered. There were numerous obstacles to travelling from east to west, both of political (passport and visa regulations) and economic (foreign currency availability) nature. Scientists from eastern countries could easily travel across the East, but when it came to western countries, the story was quite different. The first scientists that started to promote Danubia-Adria ideas were as follows: Ivo Alfirević, Zagreb, Stjepan Jecić, Zagreb, Rudolf Beer, Vienna, Hans - Peter Rossmanith, Vienna, Istvan Huszár, Budapest, Fryges Thamm, Budapest. The idea to organize such symposia across the Middle-European countries situated both on the eastern and on the western side of the Iron Curtain, had been contemplated for a longer period of time, but it first came to life at Plitivice Lakes, where Ivo Alfirević and Rudolf Beer met for the first time ever. I. Alfirević, “The story about Danubia Adria”, Zagreb, 2013.